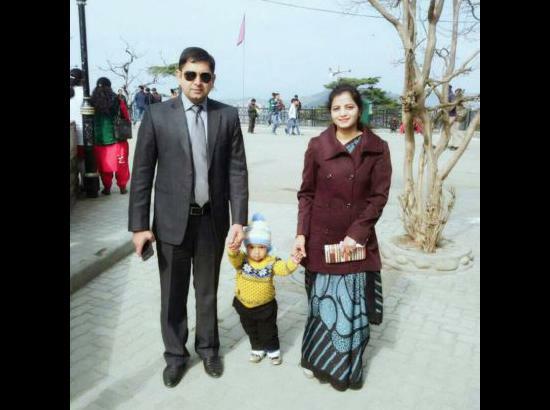 An IAS and IPS couple Yunus kahan and Anjum ara of Himachal Pradesh is inspiring all of the other people by a big step taken by them. They offered the Sheed Naib Subedar Paramjit singh’s family that they will look after one of their daughter Named Khushdeep kaur. Naib subedar Paramjit was killed by border action team of Pakistan army in J&K poonch sector. Khushdeep kaur is a girl of class 7 at private school in Goindwal Sahib In the district of Tarantaaran sahib, Punjab. The couple will meet the Shaheed’s wife and will tke the responsibility of their younger daughter. Yunus Khan said ,“My wife and I will be visiting the soldier’s village in Punjab on Saturday. We have spoken to the family. We want to build the child’s career. This is just a small contribution that we believe everybody should make for the country and its people”. the couple has a already has a 4 year son.but they want to help the martyr’s family and want to build the career of the girl.the family has one more daughter named Simardeep kaur and brother called Sahildeep singh. Martyr’s younger brother ranjit singh gave the place of NAwab Sher mohammad and said that“I simply can’t express gratitude to this kind-hearted couple. It reminds me of what the Muslim ruler of Malerkotla, Nawab Sher Mohammad Khan, had done for the youngest sahibzadas (sons) of Guru Gobind Singh Ji,” and appealed to other senior officers to follow the example of couple.